It doesn’t take years of savings and perfect credit to buy a farm—all you need are some excellent writing skills. As WLOS reports, former architect/current farmer Norma Burns is giving away her organic farm to the winner of a 200-word essay contest. “You and your partner (of any description) are aspiring farmers. You believe that there's no better calling in life than raising organic food. You've gotten experience and training. You're willing and able to put in the long days and hard work that farming requires. The only thing you don't have is … a farm! 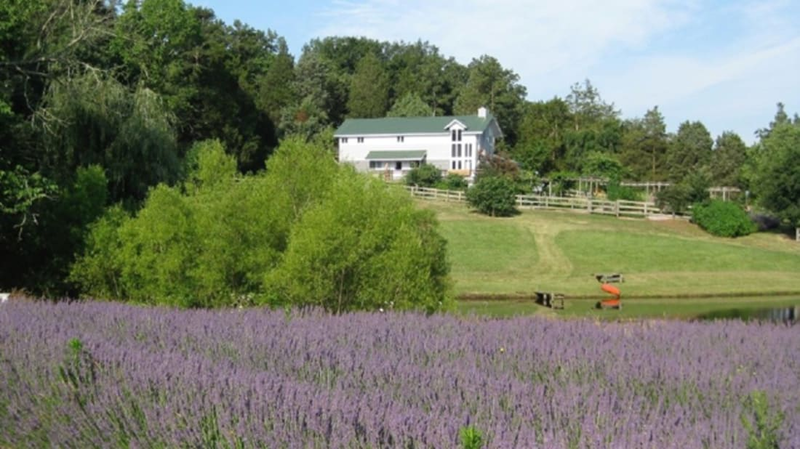 The 12.88-acre property includes a farmhouse, a lavender field, a greenhouse, a distiller, a chicken coop, and a barn (which comes with its own barn cat, named Barney). At least one member of the couple must be between 25 and 50 years old and a permanent U.S. resident or citizen to enter. Contestants are also required to pay a $300 submission fee. If the contest raises enough money, the winner will receive $50,000 in transition costs on top of the $450,000 value of the farm deed. Aspiring farmers have until June 1 to submit. If you miss out on this opportunity, don’t fret—contests that award property based on writing chops are more common than you may think. Short essays have helped people win everything from a bed and breakfast to a movie theater.